Popsicles are one of the summer’s highlights. These frozen treats not only tantalize your taste buds, but also keep you cool in the warm weather. But store-bought popsicles are not always the best tasting. Why not go for some homemade ones instead? If you want to make the most of this summer season, then try these 4-summer special ice-pop recipes to beat the heat. 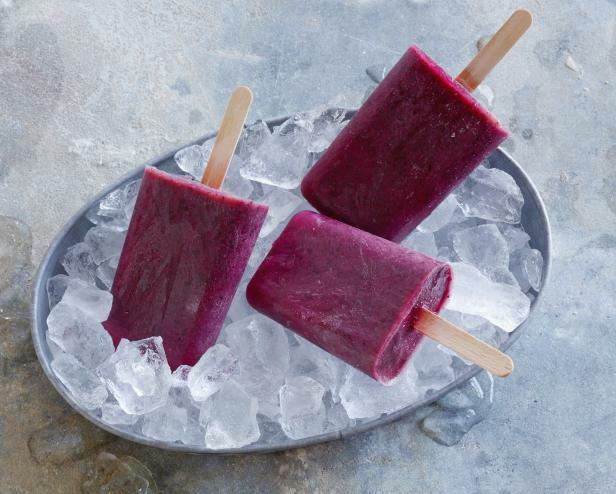 1) Blueberry Lemon Pops If you are in love with sweet and sour ice pops, then try blueberry lemon popsicles. They are rich in antioxidants and work as a healthy treat for breakfast. Mix blueberries, pure maple syrup, low-fat plain yogurt, lemon juice and lemon zest with a pinch of kosher salt. Prepare a smooth puree by mixing the ingredients in a blender. Pour the mixture into ice-pop molds and put them in the freezer overnight. Your sweet and sour popsicles are ready! 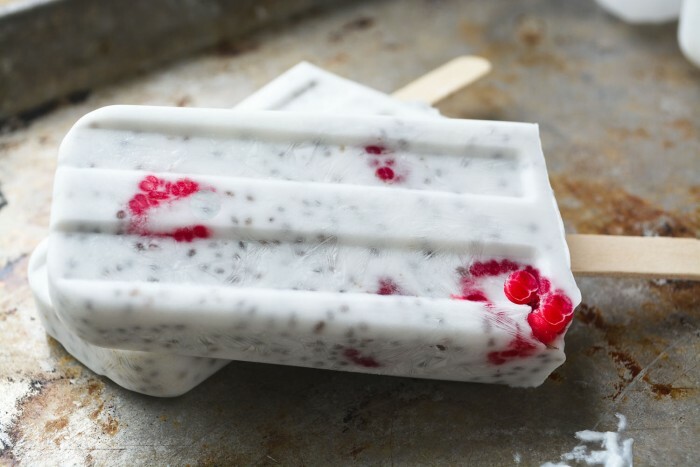 2) Raspberry Coconut Chia Pops These easy-to-make ice pops are filled with goodies such as fresh raspberries, milky coconut, and healthy chia seeds. First, prepare a smooth mixture by combining raspberries and water in a blender. Pour the mixture in molds (around 2 tablespoons in each mold) and put them in the freezer for half an hour. Now add coconut milk and chia seeds in a mixing bowl and whisk properly. Take out the molds from the freezer and pour whisked coconut milk in them evenly. Put the molds back in the freezer for half an hour. Finally, remove the molds from the freezer, put ice cream sticks in the middle, top it up with the remaining raspberry puree and place them in the freezer for at least 4 hours. The healthy and tasty ice-pops are ready to be served. You can add vanilla or coconut extracts while whisking coconut milk and enhances the taste of raspberry puree by adding honey or lime juice to it. 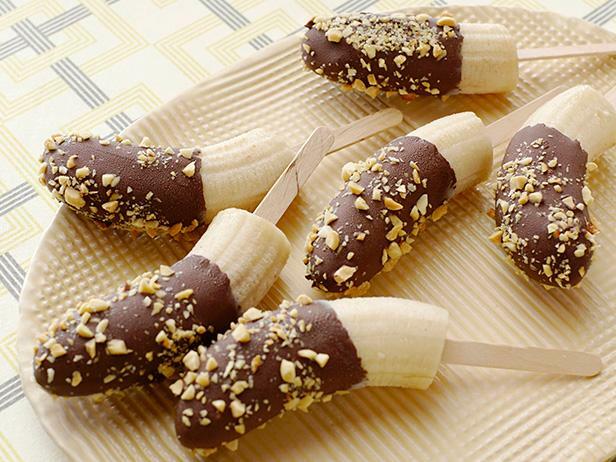 3) Chocolate Banana Pops These frozen treats look like a popsicle but taste like a sundae. This recipe is a tasty treat for all the chocolate lovers out there. It is covered with peanuts to complement the creamy texture with a crunchy surprise. To make these ice pops, prepare a banana puree by blending bananas in a food processor. Now add maple syrup, heavy cream and unsweetened cocoa powder to it. Fill the popsicle molds with the mixture and freeze for at least 8 hours. Remove the ice-pops from the freezer and keep them at room temperature for a few minutes. Now spread finely chopped salted and roasted peanuts on a plate, and then roll the frozen pops in them. Enjoy your peanut-laced chocolate banana pops. 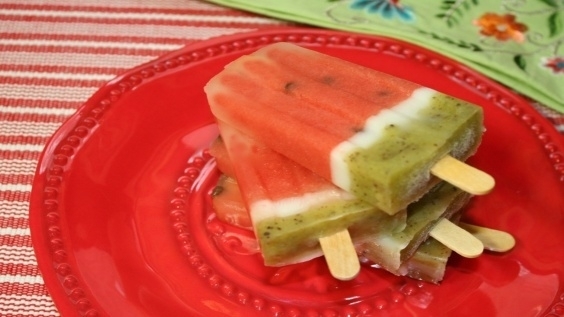 4) Watermelon Kiwi Pops This layered ice pop is filled with the freshness of watermelon and kiwi. To begin, combine cubed watermelon (seedless), lemon juice and granulated sugar in a blender to prepare a puree. Sprinkle some chocolate chips over it and mix well. Fill the molds (about 2/3rd full) with the puree, insert popsicle sticks and freeze them for about 3 ½ hours. Whisk coconut milk with sugar until the mixture becomes pourable. Remove the molds from the freezer, add a layer of 1 tablespoon whisked coconut milk evenly and return to freezer. Now it’s time for the green or kiwi layer. Mix kiwi with sugar in a blender and remove the kiwi seeds by using a mesh strainer and a rubber spatula. Let the puree sit in the refrigerator for 30 minutes. After that, add a layer of kiwi mixture to the molds and return it to the freezer for 2-3 hours or until they become solid. Your three-layered, watermelon inspired popsicles are ready! Why buy ice pops from stores, if you can enjoy them at home. Made from fresh ingredients, these frozen treats can be customized according to your choice of fruits and flavours. Try them today!